Youre here: Home / Roofing / Why Have Your Roof Checked During Fall? One of the main reasons why summer marks the peak season for roof work is that there are fewer cases of rain and other types of inclement weather to disrupt any roofing inspection or work. However, fall weather is still a lot more manageable compared to winter season, when any type of roof work would be very difficult. Roofing services are at an all time high during summer season, which means trying to book an inspection with your local roofers can be difficult since their schedules are likely to be too full to accommodate you. By the time fall season arrives, roofing and siding companies will have more available slots. Since overall demand for their services is lower, off-season service fees also tend to be cheaper. Summer season may be high time for professional roof work, but the high temperatures can also cause problems that could affect your roof during the following months. For example, caulk or sealant applied during the summer might have dried too fast, creating cracks or air bubbles that could develop leaks later on. You can call for professional roofers during spring or summer season, but early roof inspections don’t give you the benefit of having the roof checked for clogs when it matters most: right before winter. If you have your roof checked during fall, there’s a good chance that you will be able to clear out your home’s gutters and there won’t be enough time for debris to build up again before snow starts falling. This “last minute” check could decide whether you roof will suffer from ice dams or otherwise. Have your fall roof checkup done by trained professionals like us for the best results. 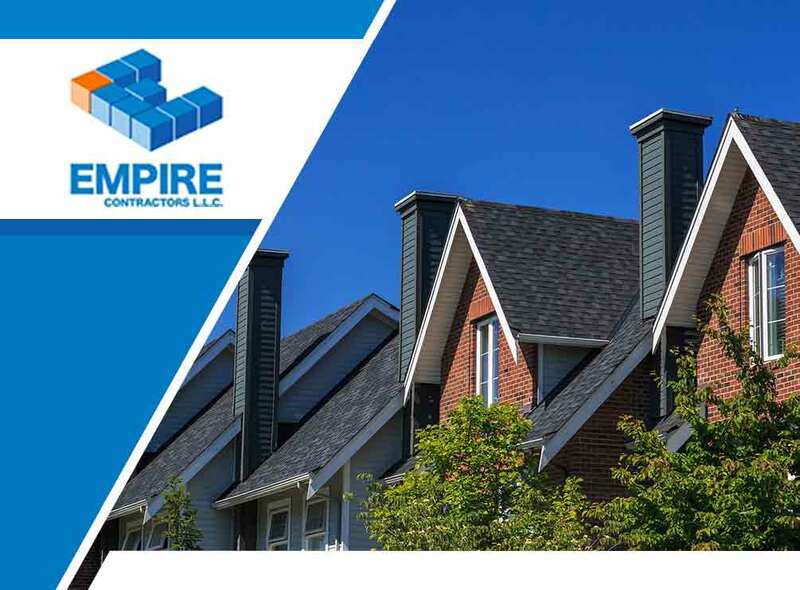 Empire Contractors LLC. is the leading roofing company in Cincinnati, OH. Call us at (513) 409-0880 or fill out this contact form to request a free estimate.